id be careful with the blue hippo tang. not sure if you are just starting off in the sw side of it, but id recommend giving the tank some time to stabilize before adding the hippo tang. they are absolutely gorgeous fish and are worth the wait. 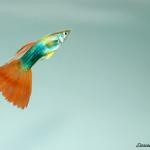 however they tend to fall ill to sickness and stress more frequently than other fish. that being said, if you give the tank some time to smooth out, then introduce one, you shouldnt have a problem at all. and congrats on the great steal!!. also please, for the sake of the mountain of money you are about to sink into this obsession (its a good thing ) please qt your fish. also in terms of stocking, its really dependant on what you want to keep. spend some time searching through liveaquaria and write down all the fish you may want. then come back here. we can help to eliminate any less than ideal fish from the list. Woot Woot!I would love to get a 175!Maybe some day but for now I will be happy with my 45g.Huma-Huma has great advice and I agree liveaquaria.com is a good reference for fish and their optimal tank sizes.Take a look at dwarf angels and butterfly fish I find them to be absolutely breathtaking.Just keep in mind that most of them are not very good beginner fish;however;once you feel like you could handle it i believe it would be making for some breathtaking viewing and enjoyment. Keep us posted and keep the questions coming!Good luck! it's really hard to say exactly how many fish would be ok, you can't really put a number on it due to the different sizes and different fish produce more pollution than others and the type of filtration you have than can handle the bioload. Just keep slowly adding fish in every 2-4 weeks 1 at a time. as it progresses and you add more stuff you may get a bit more familiar with your setup and get a personal view of what your tank may be able to handle. Yeah my husband has been looking at things mostly small fish. I think I will keep the load small when it gets cycled that way I won't have to worry about a huge loss if something were to go wrong. I am nervous and excited at this is the biggest tank I have ever had. I have a 20 gal fw and 30 gal sw.
With a larger tank you could take fish that have out grown a smaller system. I picked up my sail fin, blue and yellow tangs from local fish stores as trade ins. This way they are already adapted to life in a aquarium. Good luck!